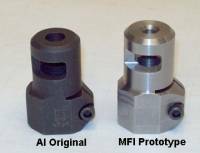 MFI Accuracy International (AI) Style Muzzle Brake for Remington 700 SLIP ON TYPE for .223 Caliber with Non-Threaded Barrel with O.D. 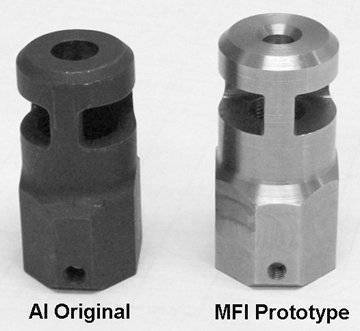 @ 0.830". NEW MFI Accuracy International (AI) Style Muzzle Brake for Remington 700 SLIP ON TYPE for .223 Caliber with Non-Threaded Barrel with O.D. @ 0.830". Slip on / over your barrel with O.D. @ 0.845" to 0.820".